Broken Leg Chairs? Don’t throw it Just Yet, Customise It! Let’s say you have an irreplaceable antique chair but unfortunately someone got careless with the front legs and broke it into a million pieces. Your favorite chair now sits in the garage waiting to go to the dump. But instead of throwing it away, you can have the legs customised back to its original condition. As well, you can update your priceless chair with matching legs to fit your unique décor. Chair legs are not the only thing that can be specially made. You can have replacement legs customised for your ottoman, couch, loveseat, sofa, divan and more. Likewise, furniture legs can be customised to fit your individual style whether you want legs that match your 18th century décor or you desire a new contemporary environment. In fact, the choices for specialized custom legs are practically endless. Did you know that the quality of your furniture may affect the value of your house? Regrettably, damaged or broken pieces of furniture can reduce the worth and charm of your home. In truth, just one piece of furniture with damaged legs will make your whole décor look very unkempt. What is more, décor that is not maintained will discourage potential buyers from considering any type of investment. 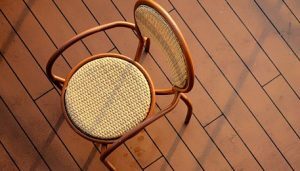 Regardless of the type of wooden furniture you own, they all have their own individual structural issues. A piece of furniture can have loose legs, rungs, spindles or joints. Inevitably, your favorite piece of furniture will break down. The good news is that most pieces are easily repaired. And when it comes to replacing the furniture legs, customizing is absolutely the best option. In the long run, customised furniture legs last longer and will match your décor perfectly. Although you can find a vast amount of information about do-it-yourself leg repair, it is not always the best solution. First, you take the chance of making a mistake which may impart irreversible damage. Sometimes even the slightest error can permanently ruin your furniture. Second, there are other things to consider besides attaching the legs. For example, leg channels might be needed so that it is parallel, the trim may need flushed (without damaging the surrounding finish) and precision cuts are absolutely necessary. Lastly, specialized equipment is needed to do quality work. For instance, you will need a router, top of the line measuring tools, a superior bandsaw, a chisel and hammer, special wood glue and durable clamps. One of the greatest benefits of customised legs is that a specialized craftsman has years of experience that enable them to do quality work. As well, they have all the equipment needed to complete the job. The finished project is at the highest standards and is personalized to fit your taste. In addition, a craftsman can help you with the design, style and type of wood to best suit the piece of furniture and your décor. One of the most renowned companies in the Melbourne area is Peter Ross Enterprises. They have immense knowledge in custom-made furniture and also specialize in furniture legs. Moreover, Peter Ross Enterprises has provided the commercial and domestic markets with paramount quality furniture since 1996. And when it comes to customer care and quality craftsmanship, Peter Ross Enterprises surpasses the best of the best. © Copyright 2017. All rights reserved by | » Broken Leg Chairs? Don’t throw it Just Yet, Customise It! Peter Ross Enterprises Melbourne | Website Designed by: Netwizard Design.